This design was not part of the original series of forty-eight designs and only appeared in later printings. However, it had definitely been included by the 1936 reprinting. Another rose design wf3 appeared in the original series and it was used to adapt a rose design for the supplemental set. Because the same species always have the same title-captions, although wf49 is not known from version I, the title-caption from wf3 has been repeated here. 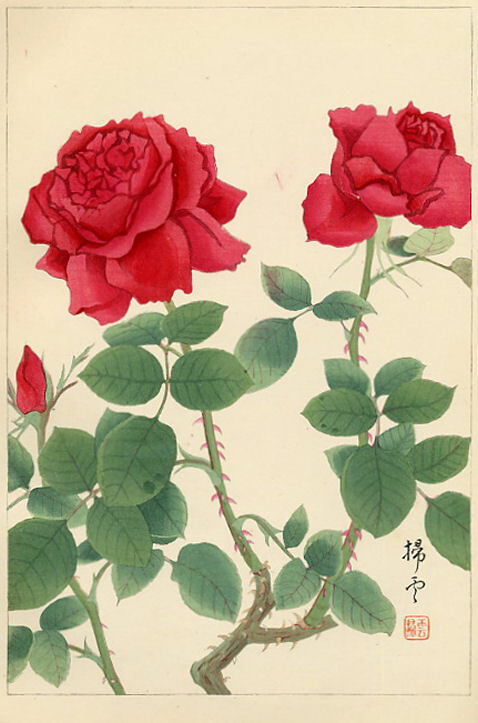 For additional rose designs in the primary Rakusan series see 7.